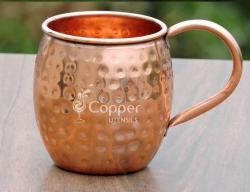 Hand hammered and hand crafted by skilled craftsmen. 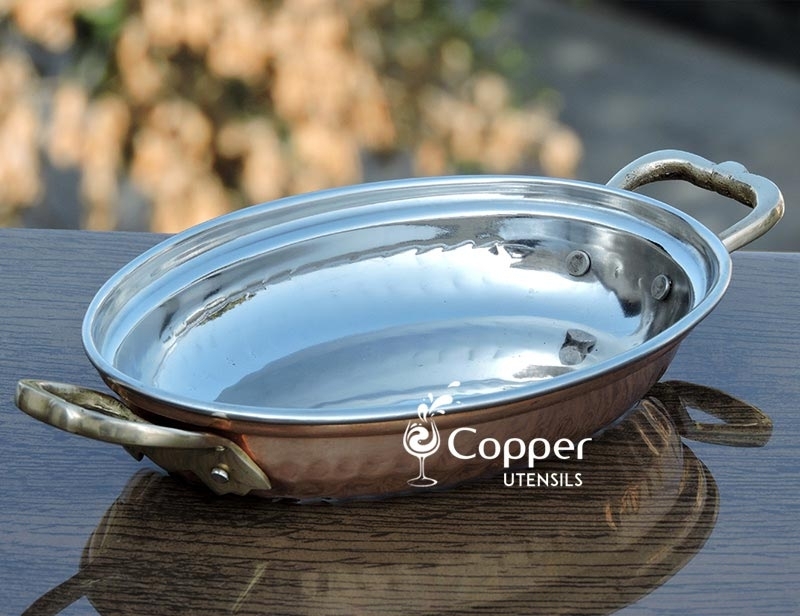 Perfect for serving rice dishes. 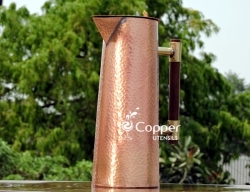 Sturdy brass handle for better handling. 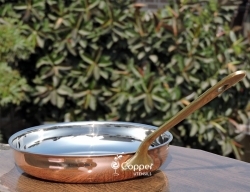 Serve rice the royal way in our Copper Mughlai Rice Server. 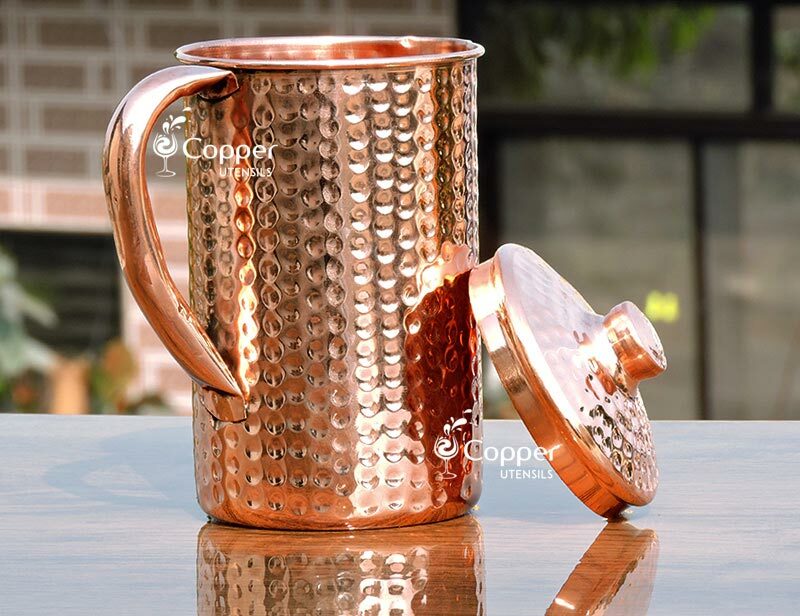 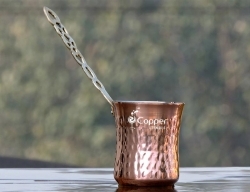 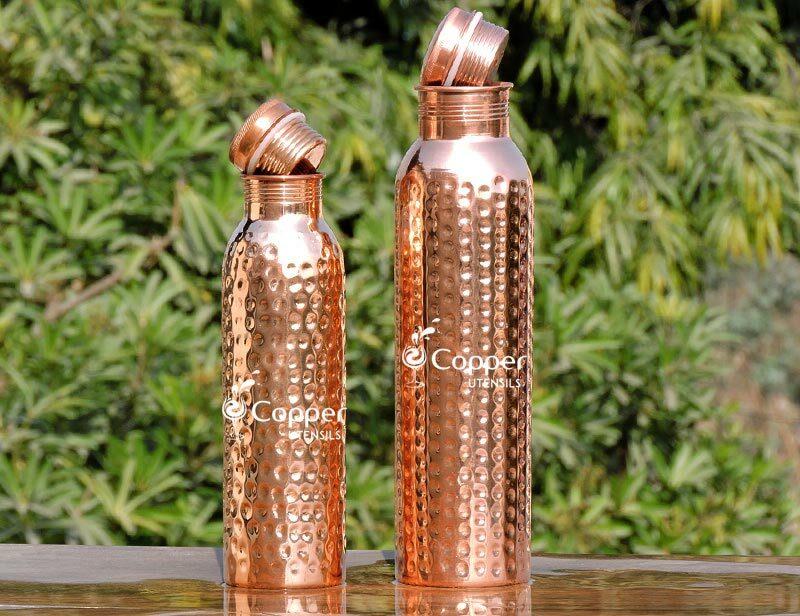 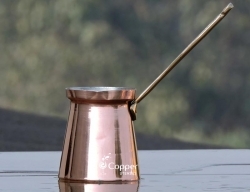 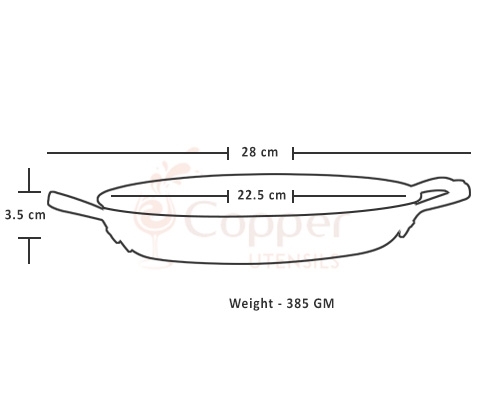 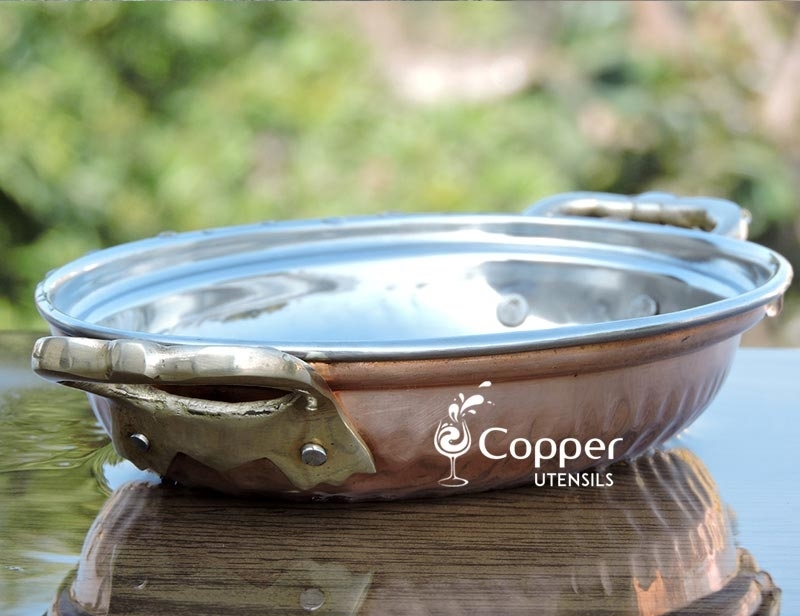 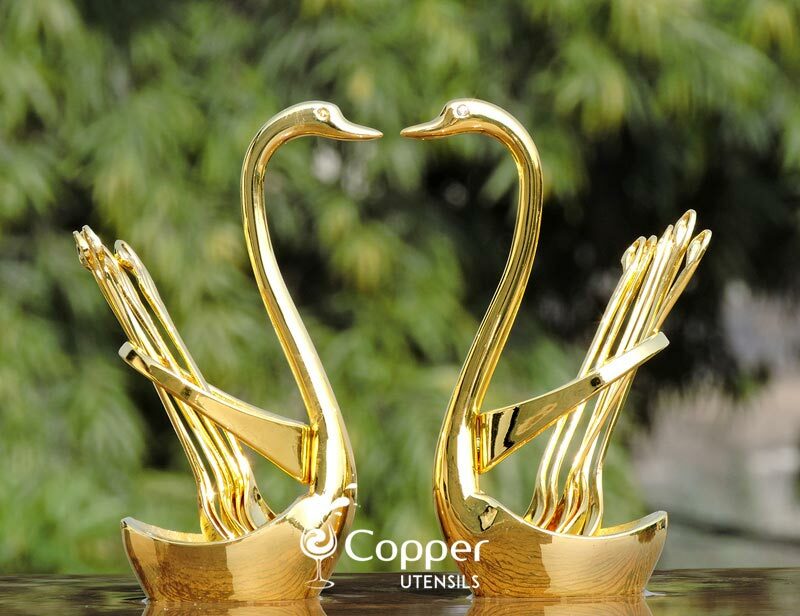 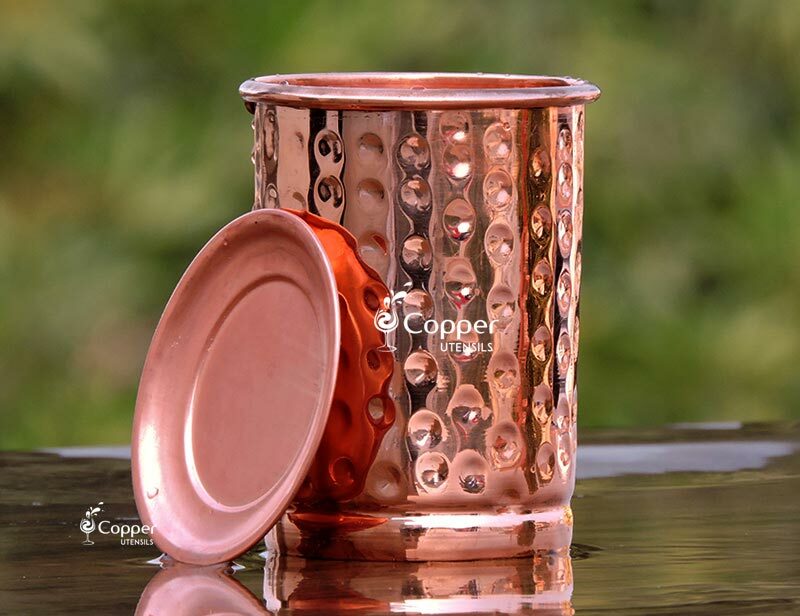 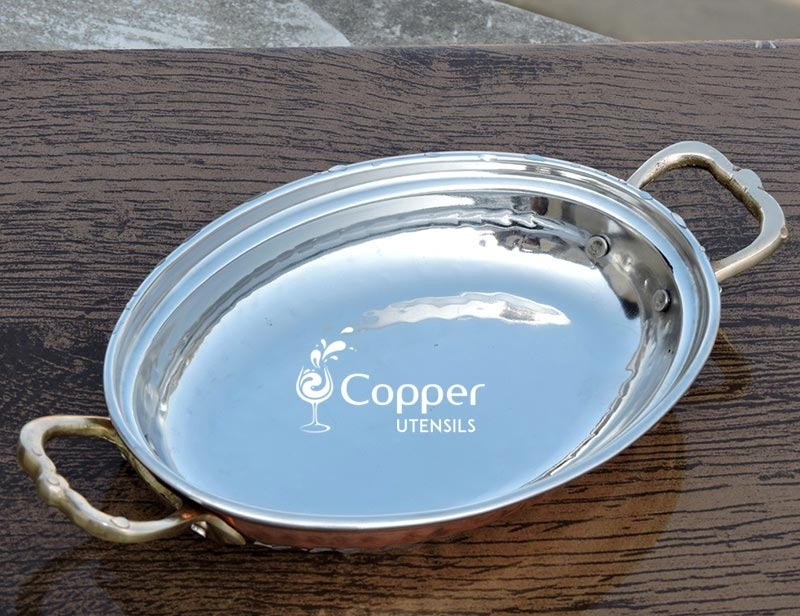 This copperware is specially designed for serving rice but you can use it as per your requirement. 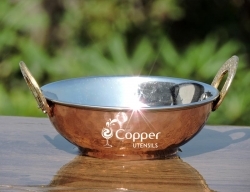 The superb design of the copperware makes it a great addition to your antique dinnerware collection. 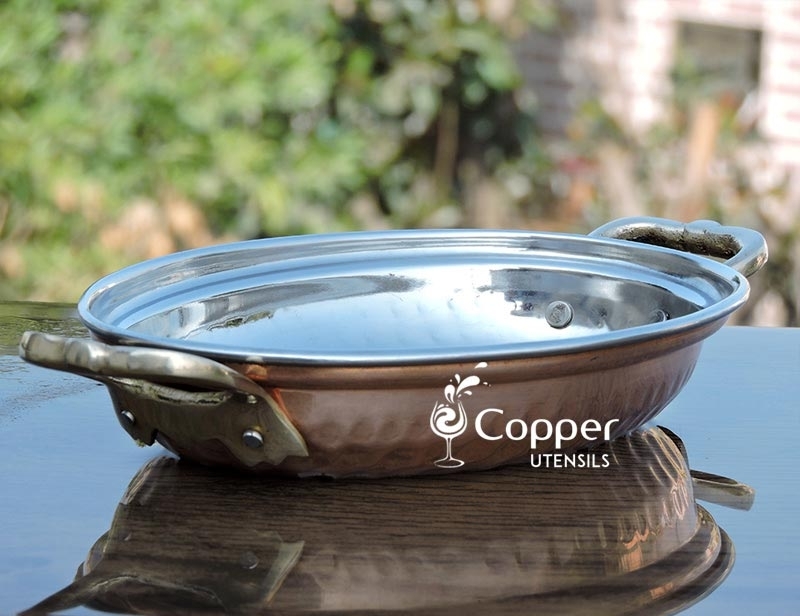 Our copper Mughlai rice server is made of pure copper and stainless steel. 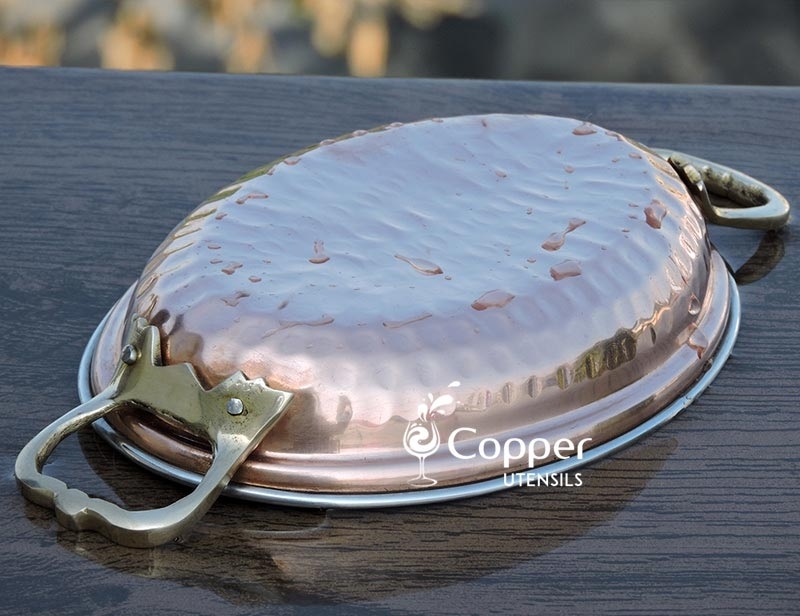 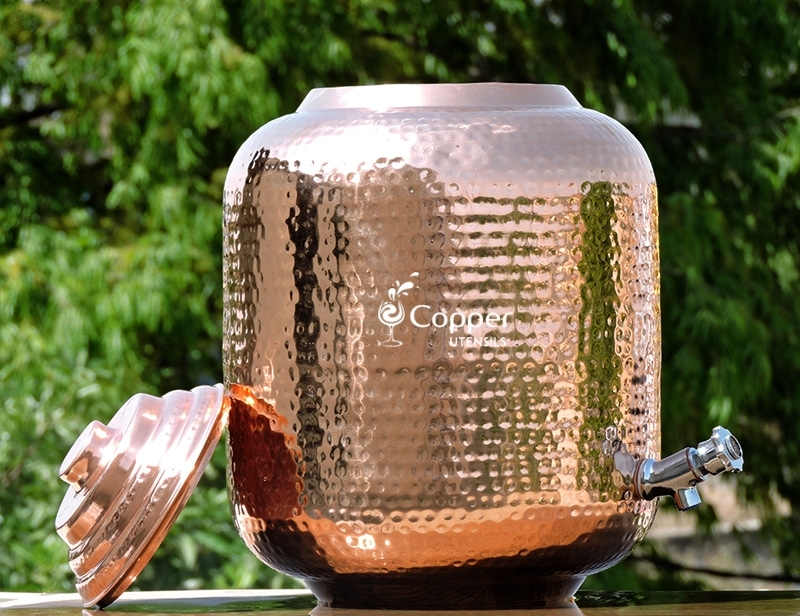 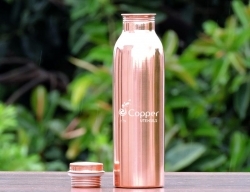 The inner lining is made of best quality steel and the outer is made of hand-beaten copper. 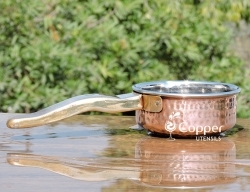 The rice server has two brass handles attached to each side for a comfortable grip while carrying it. 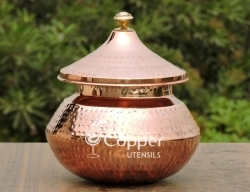 Get the best deal on this exquisite copper Mughlai rice server at our website. 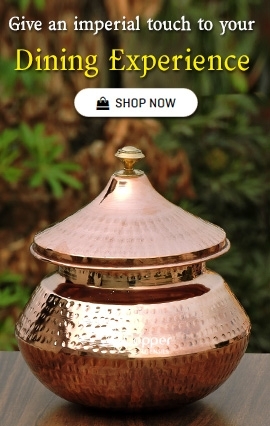 Order today and enjoy the grandeur of this exquisitely designed rice server.